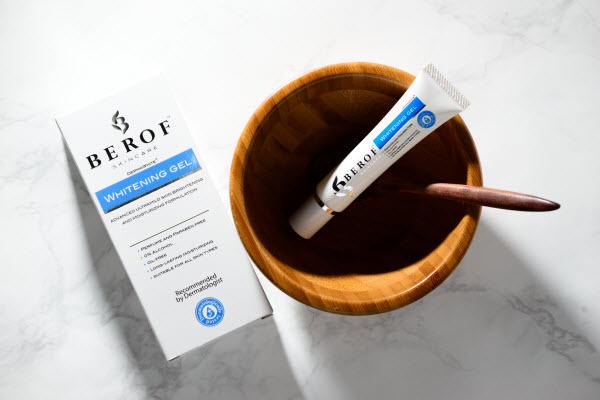 I have not had really bad acne problems, but the Whitening gel and Sunscreen of BEROF works as a great spot treatment for me. when I do have a small breakout. It reduces swelling almost immediately. The most important effect of this skincare for me has been the glow! My skin is firm and radiant because it looks and feels truly clean. I love this simple but very effective products! Have been using BEROF Skincare for over a month now and have seen amazing changes in my skin. It has become much more glow, without looking greasy or shiny at all. I've never had a major problem with acne, but I have also noticed that my occasional breakouts are happening less occasionally now. My face become fair and my complextion is brighten. This Whitening Set is really work. AWESOME !! !